Whether you’re buying or selling a property, looking for legal advice, or want to find out more about letting out your property in East Lothian, we’ve got the breadth of knowledge and experience you’re looking for. Based across East Lothian, we have offices in Dunbar, Tranent, Haddington and North Berwick and a warm welcome is always guaranteed. We offer residential conveyancing services, as well as family, commercial and criminal law advice. We can also assist with wills, power of attorney, executries and trusts. No matter what’s going on in your life, GSB Solicitors will always be on hand to help you through. Whether you’re buying the house of your dreams or querying a will, it’s our priority to make sure you always receive the best possible outcome. Your needs are at the heart of everything we do. We pride ourselves on having an intimate knowledge of East Lothian and the surrounding areas. 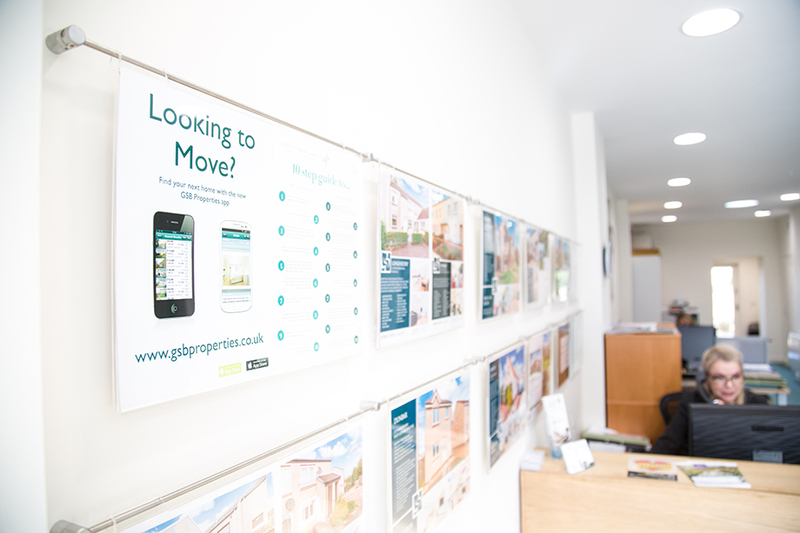 So if you’re looking for a recommendation for a home to buy or let, we’ve got plenty of ideas for you. Plus we can give you detailed information on schools, transport links and other local amenities. It’s our mission to always provide outstanding service with a personal touch. We love what we do, and we take pride in doing it well. Sarah has represented me in a child contact case and I'm extremely happy in the way she has dealt with it from the start. Sarah has always kept me promptly informed of every aspect of the case and has given me great advice on how to keep things moving forward smoothly. I can't thank Sarah enough and I would highly recommend her services. We were first-time buyers and felt quite apprehensive at the prospect of finding a solicitor and the process that purchasing our first home involved. The team at GSB Properties instantly put us at ease and guided us through the process with the upmost professionalism and efficiency. . . We were always greeted with a warm welcome at the North Berwick office and all our correspondence was replied to promptly. Thank you for all your help - we are so happy in our new home. I wouldn’t hesitate to recommend GSB who explained everything in a professional and polite manner. Any questions were answered quickly and always believed they were willing to go the extra mile just to support me in the sale. I would like to make a special mention to Marie who showed a level of commitment and dedication to the sale which is rare, clearly very knowledgeable and on top of her game. I can’t thank the team enough. We used GSB to market our house which is a beautiful but unusual house and although a stunning location, it is not on the beaten track so we weren’t sure how successful we would be to get a stream of interested viewers. From start to finish Marie Cook at GSB was superb. She advised us on how to present our house for photographs and the glossy brochure, she even took time to come to see our property in her own time and learn about the local area so she could speak passionately and knowledgeably about our home to potential purchasers. She arranged suitable appointments and made follow up calls to everyone who viewed the house and provided feedback to us. We successfully secured a sale within 3 weeks and Marie guided us through the negotiations to a positive outcome. I have already referred a friend to GSB and would have no hesitation in saying if it wasn’t for their professional help and guidance we wouldn’t be in the fortunate position to move on with our plans. The help, kindness, and understanding you have shown Matt and I throughout this process has made such a difference to us. We are extremely grateful to you both (and your colleagues who also kept in touch with us re viewings etc). Thank you both again so very much for all you have done to help bring this together for us. I just wanted to say THANK YOU so much for working so hard on my case. The outcome of the case was very satisfactory and I appreciate your effort and honesty. I will gladly recommend your services to any of my friends that may ever need it. I wish you all the best! Sarah represented me in child case. She was very helpful and professional. My case last for long time but Sarah had a good plan from the beginning and helped me a lot at every stage of this process which was difficult for me. She was always on the top of the case, reacting quickly and informed me all the time if something was happening. Many times she suggested me some solutions which were always successful. I highly recommend her service. She is a very professional and good lawyer but also great person. Now that the sale of my mother's house has completed, & with no last-minute hitches, I thought I'd write and thank you for all your help. I should have preferred to call in at your office to thank you personally but that is not practical given that I live in Cambridge, but very many thanks anyway. Despite the lack of offers (a market reflection), it all went smoothly eventually, and you made all the complexities painless. Wanted to say thanks so much for your meticulous work and making sure we were so well protected in both the sale and purchase. You really pulled out the stops with everything and we are very grateful to you for that.